We have dozens and dozens of different bows, ornaments, pine cones. 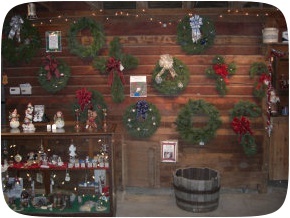 Wreaths are available in lots of sizes: mini, 10, 12, 14, 18 and 24 inches. 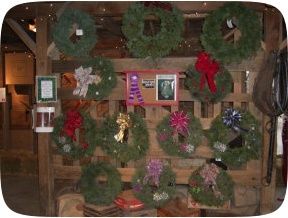 There are also special-order 36, 40, 48, 52, 56 and 60 inch wreaths. Don't forget to look at some of the unique gifts that we collect from around the country!